As I have previously mentioned, I do not have much free time for serious gaming. Once in awhile though, I do indulge in a little casual gaming. 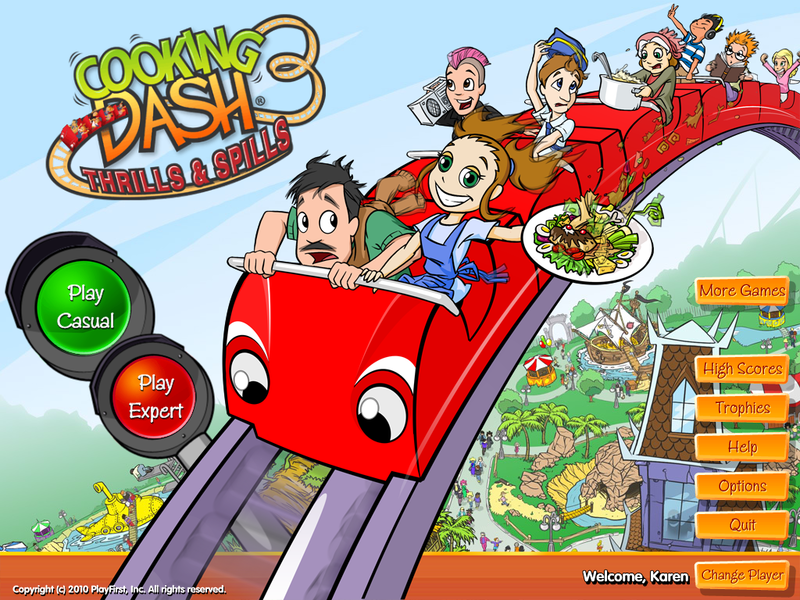 When I was invited to try Cooking Dash 3: Thrills and Spills, I was intrigued because I had never tried the previous editions. I also was not expecting too much because, from my experience, a game that can be downloaded for less than $10 often can be finished in about 6 hours or so. I have been playing this game for almost a month and I still have yet to finish it. Although I get frustrated at times, I am officially addicted to this game. 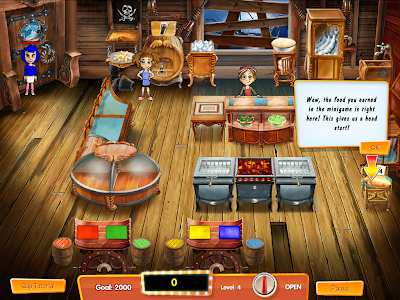 The premise of this game is about how a theme park owner gives a girl who runs a successful food cart the responsibility of reviving the five restaurants within the park. In order to move onto the next level and to earn money to make improvements to each restaurant, you must beat the points goal for each level. This game requires concentration and speed. You must learn which customers are priority and what each type of customer prefers. 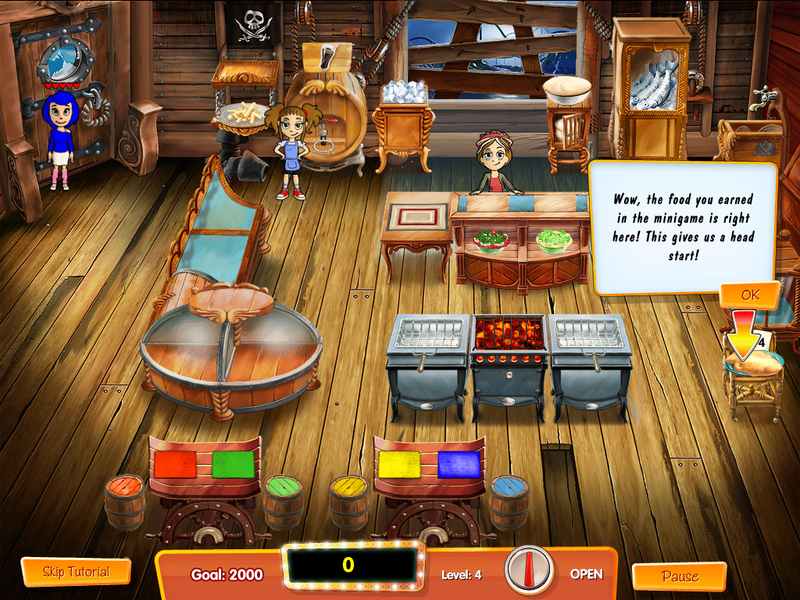 The higher levels of each restaurant are challenging. I definitely do worse when I am tired, with slower reflexes and blurry eyes. There are also mini games between levels where you can earn extra food for the next level, which means less food you need to prepare. The games include spot and click type games, similar to whack-a-mole, hidden picture games, and a side-to-side navigational game. 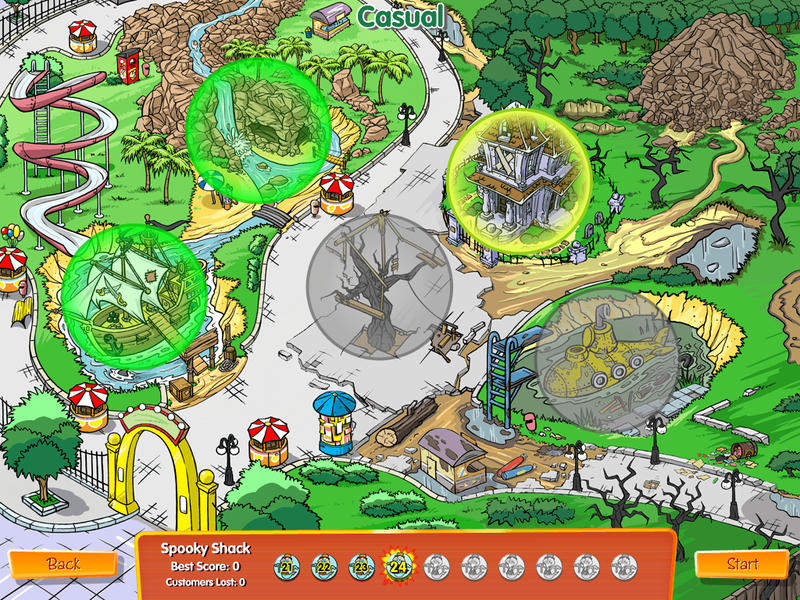 When you do not make your goal and need to restart the level, you are required to play the mini game again. My only complaint is that the various individual hidden picture games do not change. So, if I needed to attempt a level 5 times before I could reach the points goal, I end up doing the same hidden pictures game 5 times. After the first time I play a hidden pictures game, I know where everything is hidden for the most part. So this particular aspect of the game is very redundant and I just try to get through it as quickly as I can so I can get on with the game. There are two difficulty levels for this game . . . "Casual" and "Expert". Right now, I am on the last level of the first restaurant on the Expert level. This game is very challenging and obviously holds my attention. I cannot play it for a long time in one sitting though. After 5 or 6 run-throughs, my arm and shoulder begin to hurt and my eyes get dry and blurry. I suppose this is a good thing because it keeps me from sitting at the computer playing this game for hours at a time. 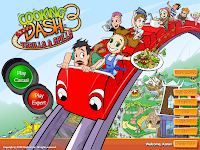 If you would like to learn more about Cooking Dash 3: Thrills and Spills for Windows, visit PlayFirst.com . This game is currently available to download for just $6.99 (regularly $9.99). Thank you to PlayFirst for providing a complimentary download of this game for us to base this review upon.